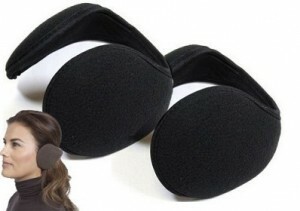 2 Pack Behind-the-Head Ear Warmers Only $2.49 SHIPPED! Save yourself from hat hair, but keep your ears warm with this 2 Pack Behind-the-Head Ear Warmers. They are just $2.99 with FREE SHIPPING. Plus, if you use coupon code WINTERPREP at checkout, you’ll get yours for only $2.49 shipped! These will make a great holiday gift and are selling fast!